Complete reconstruction during 2004. Surrounded by lush vegetation, it is a wonderful place for sunny vacations. You will discover quietness and calmness in Kristal. The hotel animators will see to your pleasant emotions with care and humour. We won't miss your birthday in Kristal, and will give you a special wink for your wedding anniversary. the hotel was good, spacious, clean, nice swimming pools, food was diversified, but i am pretty sure that the staff is involved in stealing from the tourists. somebody toked the key from the reception and stealed a lap top, a macbook pro from a friend of mine; the other day the police came because some tourists from the netherlands discovered that their wallets were missing from the room. so think twice before you choose bulgaria for destination. The food was cheap and undiversified. I went there with a group. The day before we left my frind's apple was stolen from his room. Police didnt do anything about it. We went to the station, waited for 1 h and nobody wanted to take us a statement. They didnt speak english and they didnt have any translator. It was horrible. The hotel staff was terrible especially at the reception. I witness how one of the boys from the restaurant jumped in a balcony tring to get into one of the rooms that had the balcony door open. Before we left another guy called the police complaining that his wallet was missing from his room. They are pirates and I am not exagerating when I am saying that this was THE WORSE EXPERIENCE EVER!!!! WE WILL NEVER COME BACK TO BULGARIA!!! WE have just returned from our holiday the hotel was very clean, we were all inclusive and the food was very good, fresh warm bread with every meal. Plenty of variety to choose from. I would recommend this hotel to anyone. The reception staff were very friendly as was the porter and also the bar staff were great. I went as single mother in August 2006. Hotel very nice, but reception staff were not. I ended up paying twice for deposit box and ended up carrying money with me all through holiday. I didn't trust them. The bar staff were very nice. The food wasn't, but could eat out very cheaply. Last night I just returned from this trip to Bulgaria which I will never ever go back to. What can I say? The hotel was great with a spacious and clean room and pretty architecture. But the two things I was mostly worried about before I left and reading the message board happened. The food was near to horrible, greasy, hardly diversified and to top it up my husband and I got food poisoning, but the worse was that my 15 months old baby got really bad food poisoning since the first day there. He's the type of baby that eats any food under the sun, but now he refuses even he's favourite biscuits! So if you take the risk!!!! This was an organised trip for Easter, but felt nothing as no festive meal was offered and all the guests were as unhappy as we were. Second of all I felt that the reception staff wasn't so helpful as you would expect and caught them with a lie that made me sick even thinking that I accepted to go there. One more note: If you're planning to travel by car be AWARE!!!! the roads are uneaven, have hardly any signs and marks so you badly need a proper map or your GPS. Good luck or better said go somewhere else! breakfast last year staring serving around 7am and the reasturant closed at 10am however this may of changed due to most guests now being bed and breakfast and not half board as in previous years it is also the best meal in this hotel last year they had pancakes made to order. I was just wondering if anyone could tell me what time breakfast is at, as my fellow holiday maker likes his food!!! we have just arrived back from bulgaira and cant wait to go back. 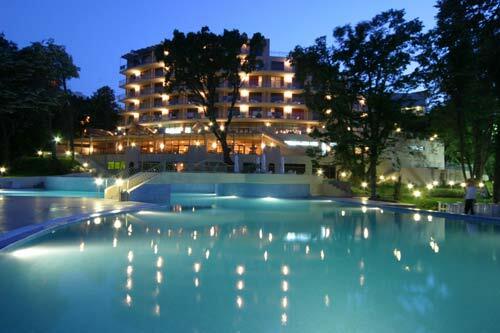 the kristal hotel was spot on the staff were very friendly and the hotel was very clean maid service everyday. lots of shops and restaurants to go to nearby and the pool on the resort was beautiful and not allways packed with children. cant wait to visit again! p.s it is sooo cheap over there!!!! I have just arrived back home from Bulgaria and can't wait to go back. We went with First Choice and the kids reps are fantastic. My son who is 6 had a great time with them for 6 hours a day some days. Beach and water park only a short distance away. Get the train to the beach only 2 lev/60p, everything very cheap. Kristal hotel spotless although food could be improved but there is plenty of it!! Staff very helpful. I would fully recommend this hotel to friends and plan to return in the future. Maids make fantastic things with the towels they leave on your bed such as flowers, boats etc. Don't forget to tip these hardworking hotel staff as their wages are not up to much!! MY SELF,WIFE, AND 3 KIDS WENT SEPT 05 TO HOTEL KRISTAL. DID EVERYTHING WE WANTED TO DO. FOUND IT HARD TO SPEND £50 PER DAY. WE WERE THERE FOR TWO WEEKS , VERY CHEAP, GOOD VALUE FOR MONEY. NO MORE THAN £600 FOR TEN DAYS, ENJOY YOURSELF. BUT £400 OR £500 WOULD BE PLENTY. ENJOYED IT SO MUCH WERE GOING BACK THIS SUMMER. We went as a family in july 2005. it was a lovely clean hotel all amenities was available. Close to beach. we went again in september for a week and are visiting again in july 2006. Its great. fist class in all respects!, the food was excellent with a wide variety of choice. The hotel was clean and of a very high standard. i would recommend it to all, familys in particular. we would definately go back. 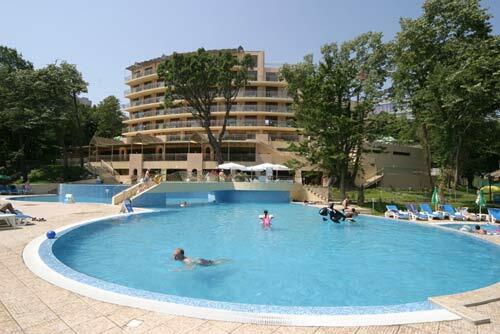 bulgaria was a fantastic holiday & this hotel in particular helped us to enjoy a very memorable week. we are returning again in 2006. Just come back from 7 wonderful days at the Hotel Kristal in Golden Sands and would highly recommend the hotel to anyone thinking of visiting the area.